2018 has truly started amazingly well for some teams, whilst for others, it wasn’t that good. There have been heartbreaks and celebrations, but these are all parts of the world of CS: GO. 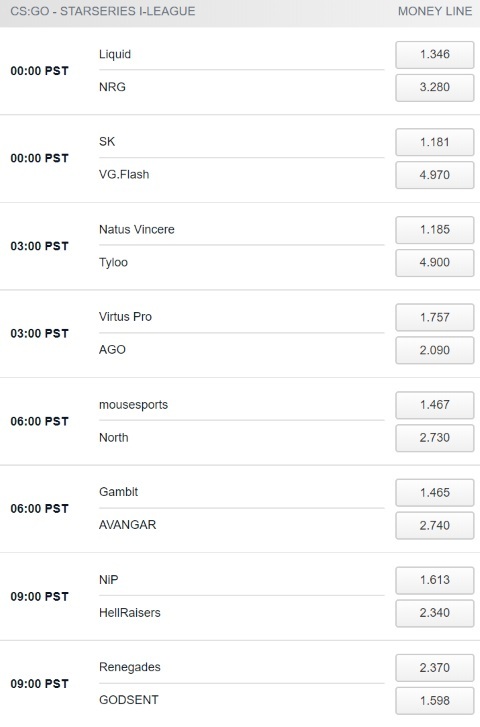 eSports betting is also a part of CS: GO and it’s always unique for each tournament. The StarSeries Season 5 tournament will surely feature the same emotions, albeit from different teams. We’ll be seeing teams like Gambit, Liquid, NIP, and many others battle it out for the grand prize. The grand finals winner will receive a handsome reward and international recognition so be sure to tune in and follow the tournament with close attention! 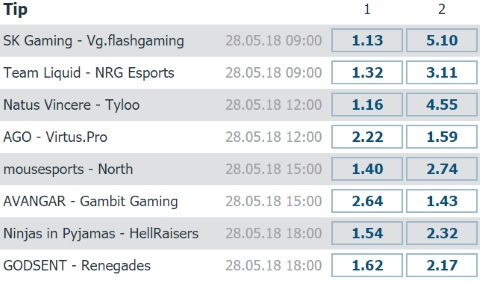 We’re in for a wild ride so let’s see what you can expect from the StarSeries & i-League CS: GO Season 5 and what’s in store for this tournament’s CS:GO betting odds. StarSeries & i-League Season 5 will have the exact same format as season 4 with one simple exception – 3rd place match will not be played. So, that leaves us with 16-team Swiss System group stage format with all matches being played in BO3 fashion. Top 8 teams advance to the playoffs while bottom 8 are eliminated. Continuing forward to the playoffs, all matches (including the grand finals) will also be BO3 in a single-elimination bracket system. If you’ve been an avid follower of CS: GO tournaments and the success of some teams, you’ll already know who to bet on. But, there are indications that things might not go exactly as expected. 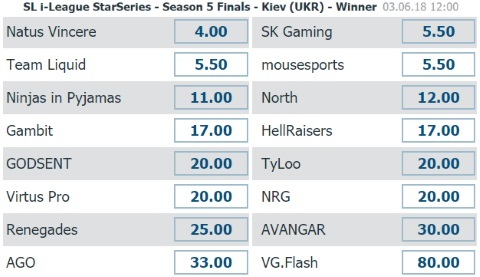 The StarSeries Season 5 betting odds will be known soon. This is true for all tournaments since it takes time to create them. On the other hand, even the best teams in all sports in the world sometimes make mistakes or encounter someone better which also influences betting odds. Keep up with our website as we’ll be pumping out more info on the tournament and the bookmakers. 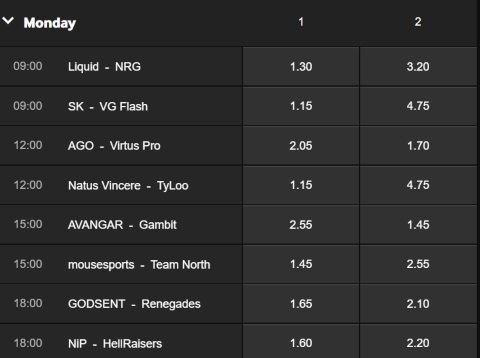 For now, check out some of the most popular eSports bookies regarding CS:GO betting to see what they think about these CS: GO betting odds! 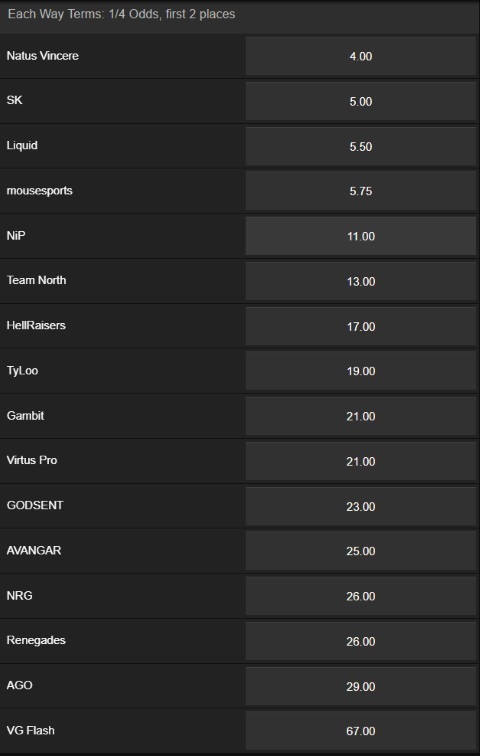 StarSeries & i-League Season 5 betting odds are still not set in stone but bookies never stray too far from a working formula which is why you shouldn’t expect too big of a difference between them. Nonetheless, some bookies have better deals than others so you’ll need to compare what they say. eSports betting is a bit less volatile than with regular sports so there’s that to look out for. As all important tournaments, StarSeries & i-League Season 5 needs to have proper livestream coverage. In addition to standard English Broadcast, this tournament will also have Russian and Chinese ones to widen the potential audience.